total looker, with a coat that looks and feels like suede. 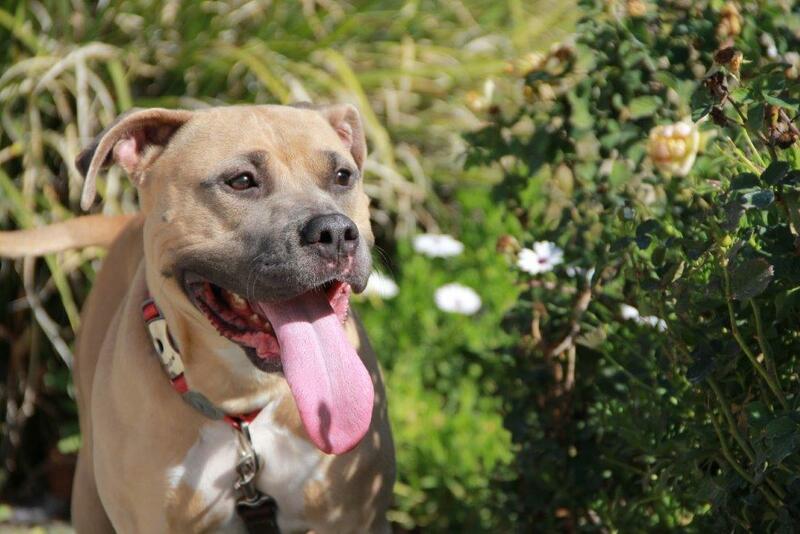 She's been dreaming of her forever home for far too long. Could you be the one to help Kissy's dream come true? 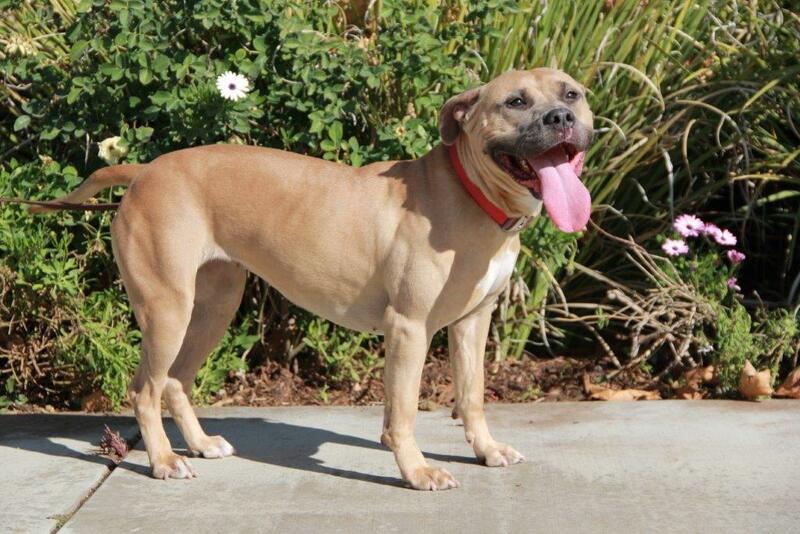 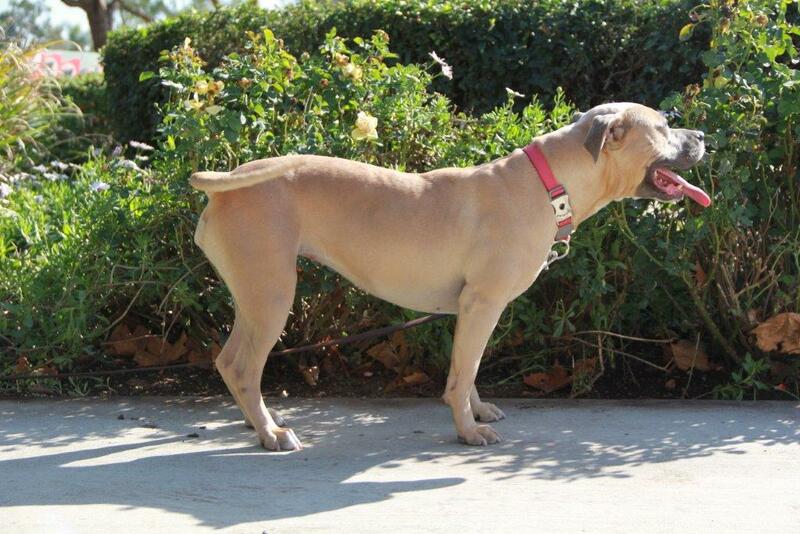 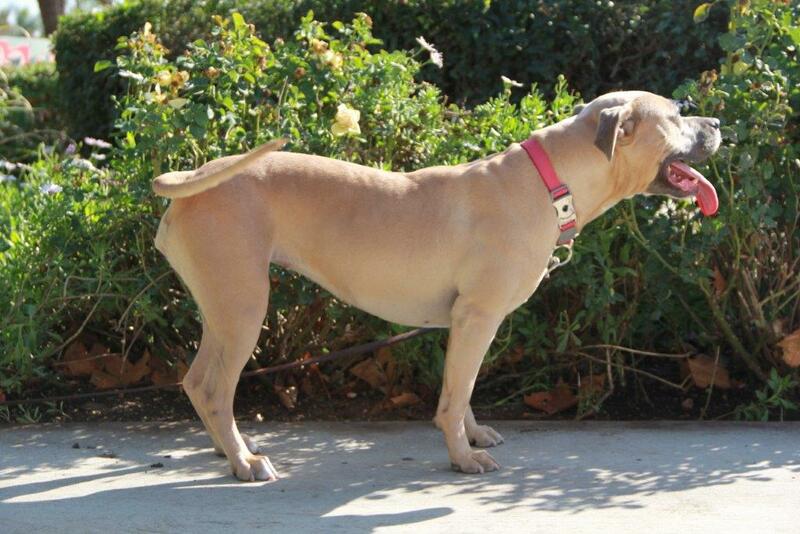 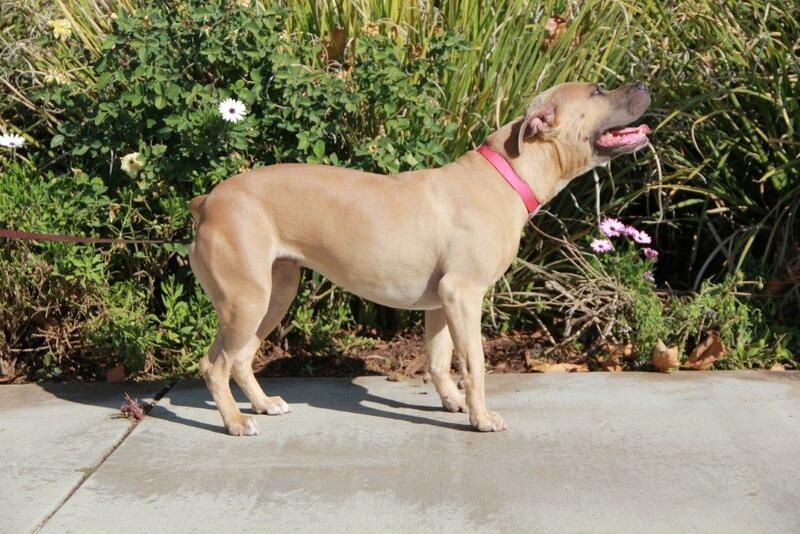 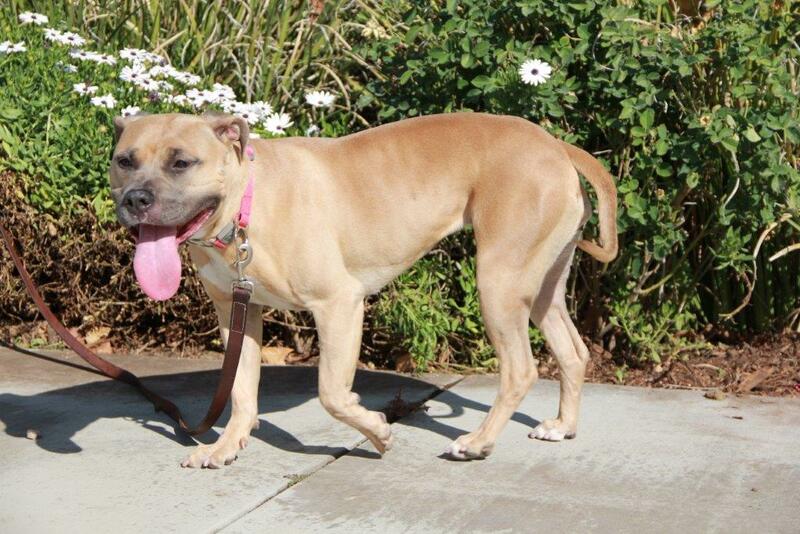 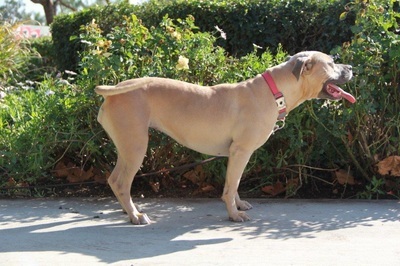 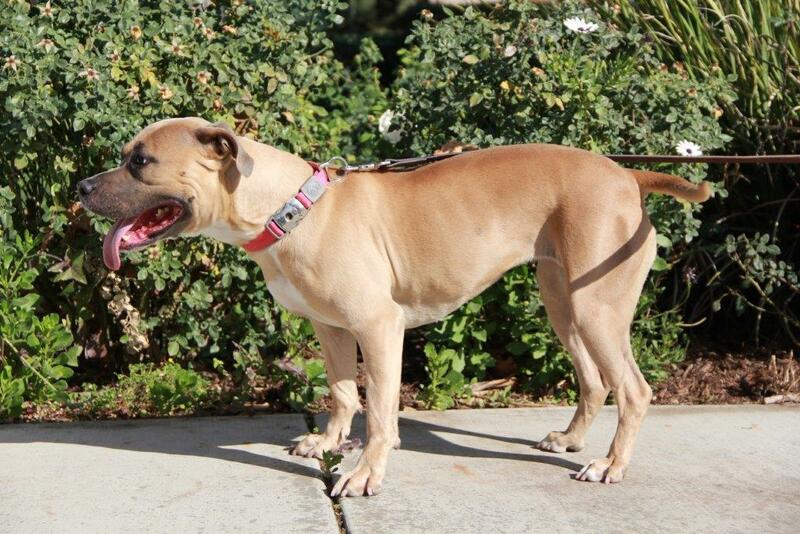 After weeks on death row, Kissy was rescued from the Downey shelter in the 11th hour. 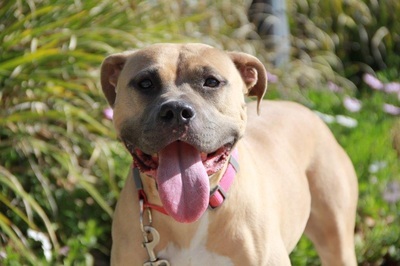 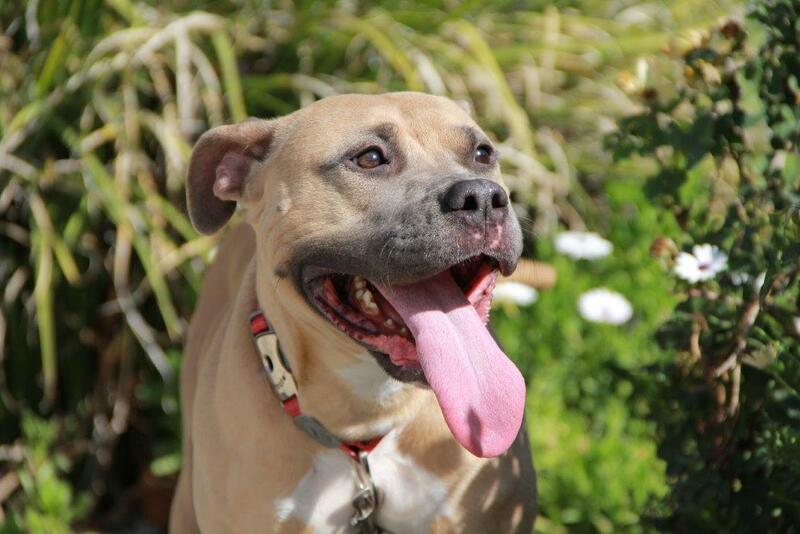 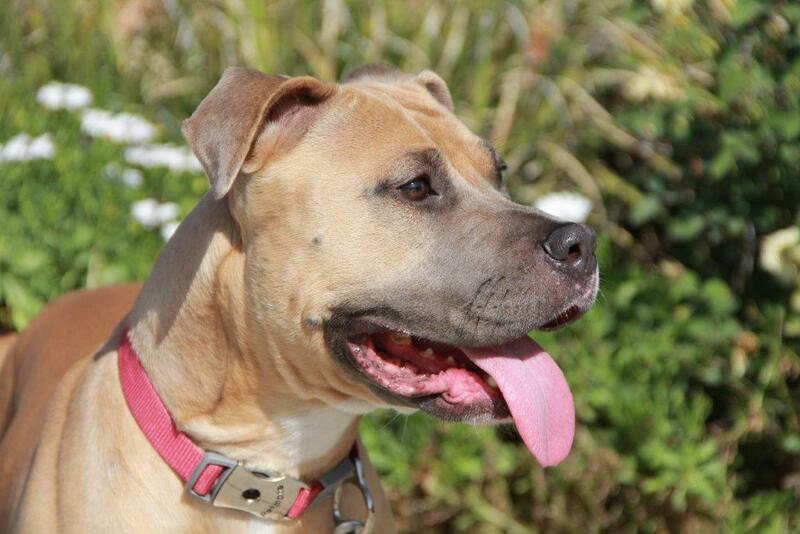 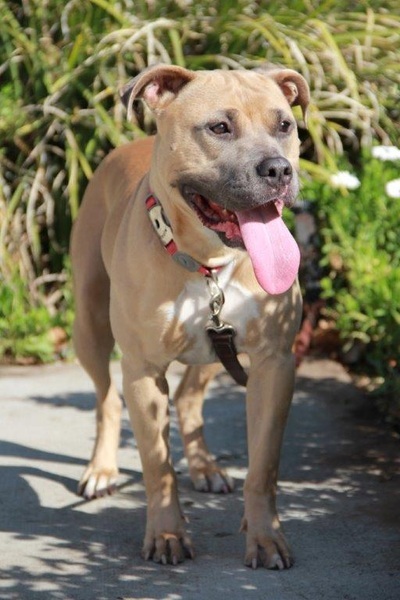 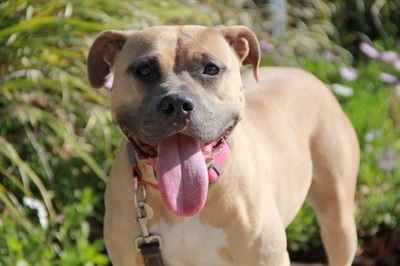 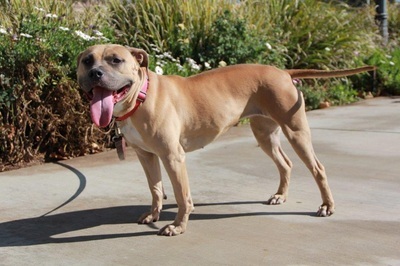 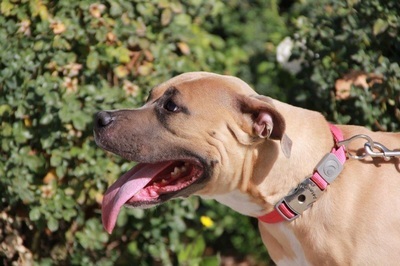 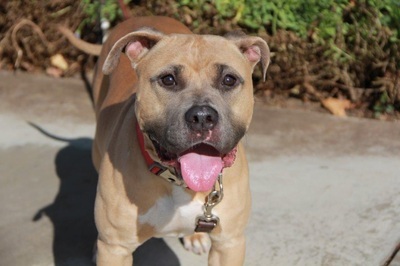 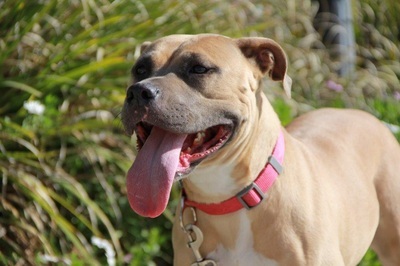 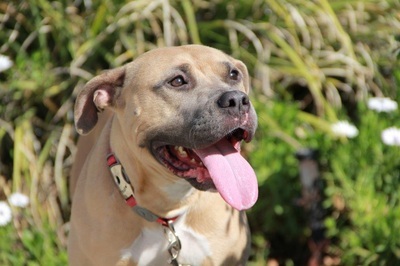 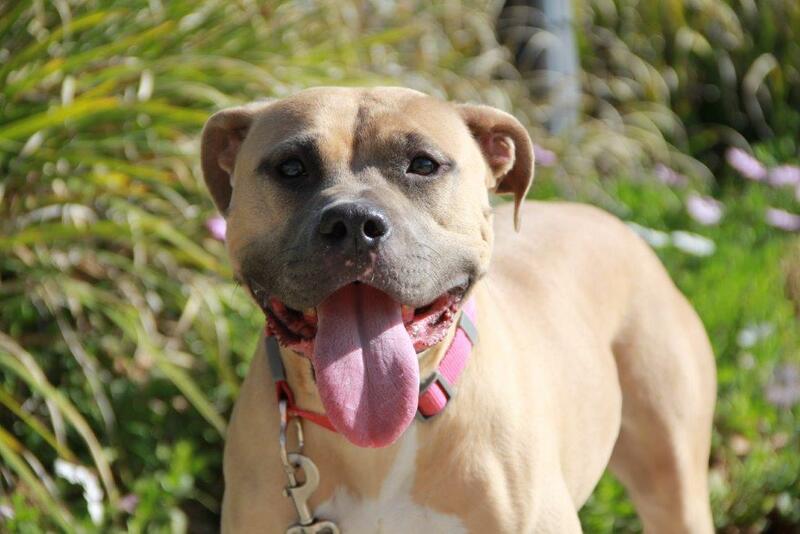 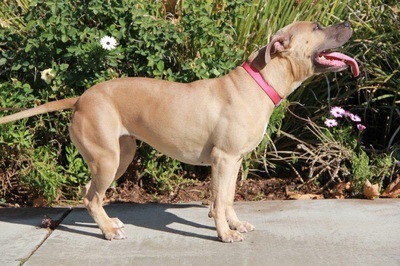 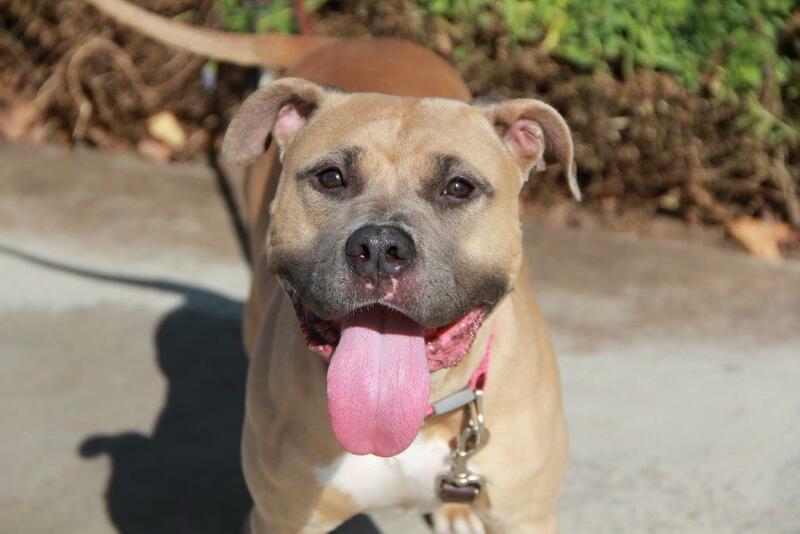 A sweet and attentive Pittie/Boxer mix, Kissy is a social butterfly. 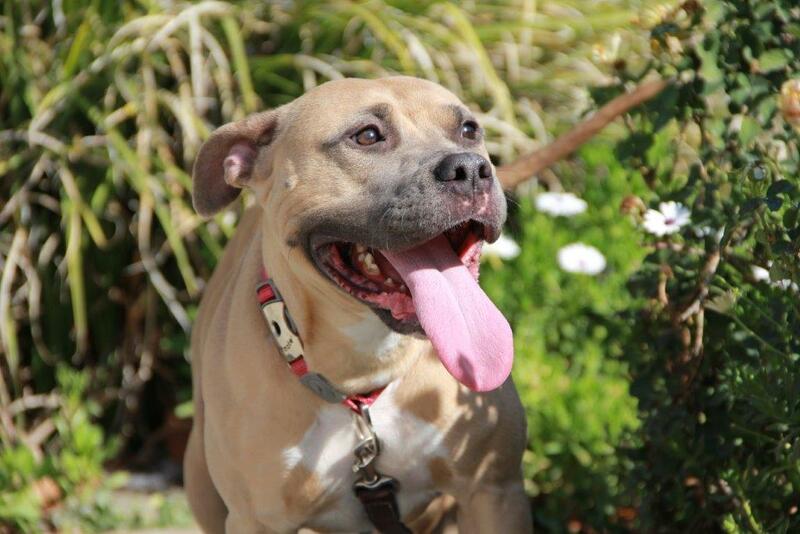 The more people around her, the happier she becomes. 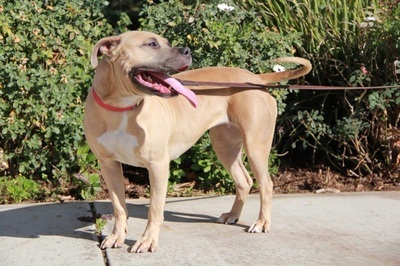 She loves belly rubs, and shows her thanks with gentle kisses. 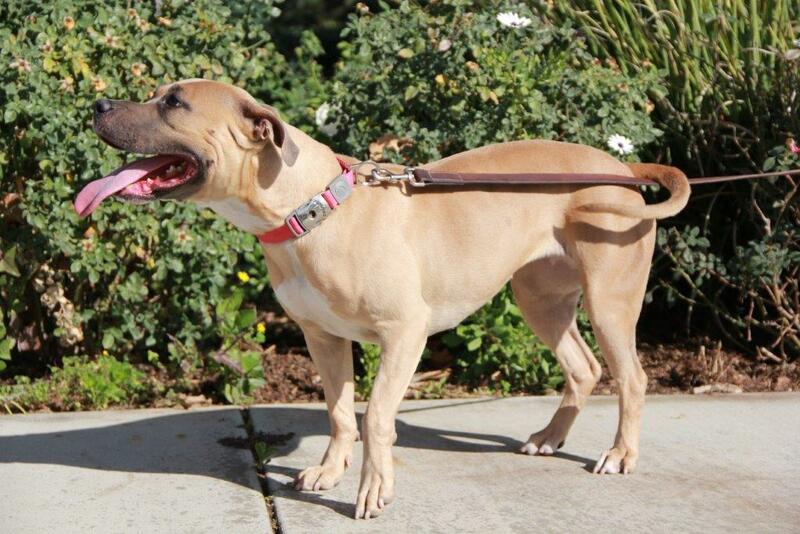 Kissy is very quiet. 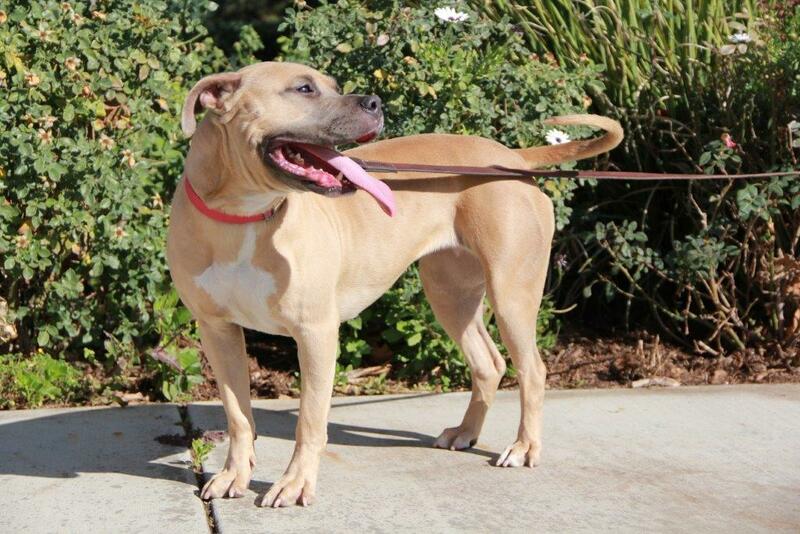 She has only vocalized once in her foster home, giving out one loud warning bark when startled. Kissy is being gradually introduced to the wonders of the world, as everything is so new and exciting. 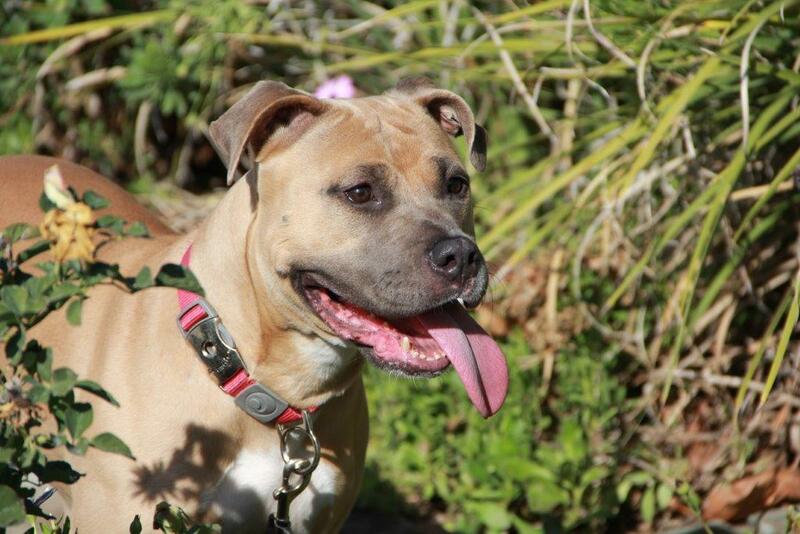 Her foster mom believes Kissy was a backyard dog, as life indoors initially worried and confused her. 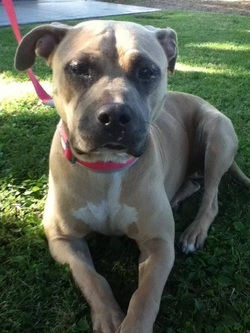 Within hours, Kissy had adapted, found a favorite spot on the couch, and relaxed.